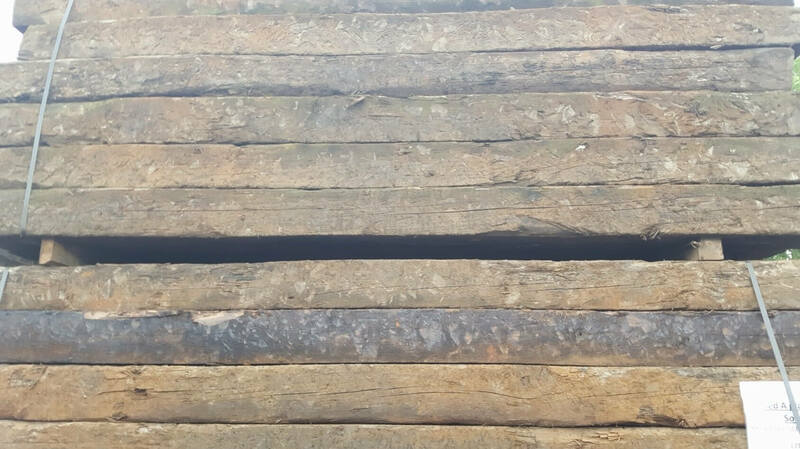 These sleepers are only 3 years old. 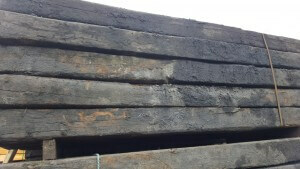 Heavily treated with creosote. 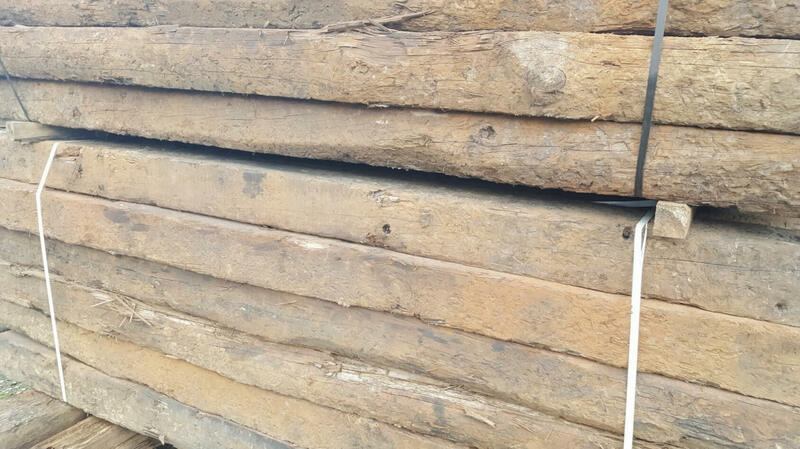 These sleepers are best quality with generally four good sides, and the least cracks. 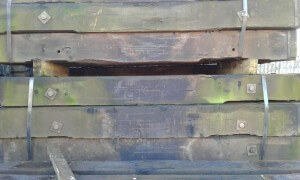 They are treated with creosote, but will not leak. The treatment makes them long lasting. If the project requires lots of cuts this sleeper is preferable to the Grade B sleeper. 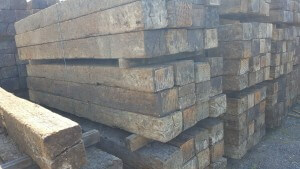 Good for stacking and slotting for retaining walls, steps and fencing. 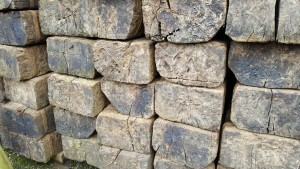 Good for stacking and slotting for retaining walls, steps and fencing. Not recommended for cutting. A good clean sleeper. Not heavily creosoted, so should not weep in hot weather. A very attractive and slightly larger than average size. Varying a bit on the section size. The elite of the sleeper world. A suberb sleeper with dense characteristics. All straight & square without cracks. Quiet heavy but once in place will last indefinitely. Gives a good rustic appearance. In addition, they are ideal for retaining walls and steps. 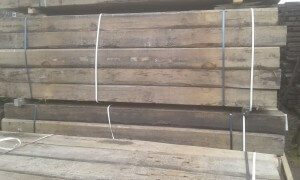 At 10” (250mm) wide these sleepers give extra coverage. Great for use in children’s play areas, raised vegetable beds as well as steps, fencing, kerbing and decking. As good as the Grade AA but not just as perfect. 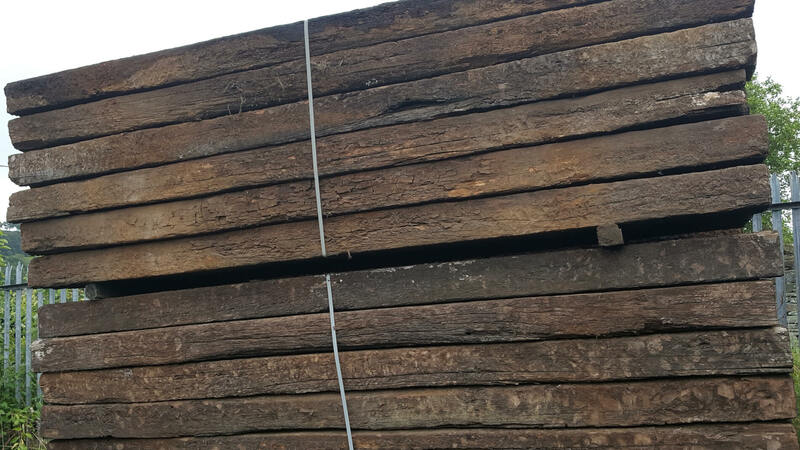 Can be slabbed successfully to make planking. 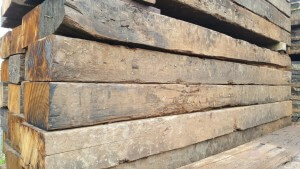 Good sound hardwood sleepers – no rot. Some will not be as pretty as the Grade AA & A’s. A good all rounder, full of character. 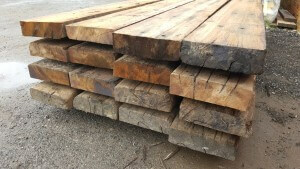 Dimensions: 2.75m – 4.5m x 250mm x 125mm (9′ – 15′ x 10″ x 5″) £5.00 + Vat per foot. 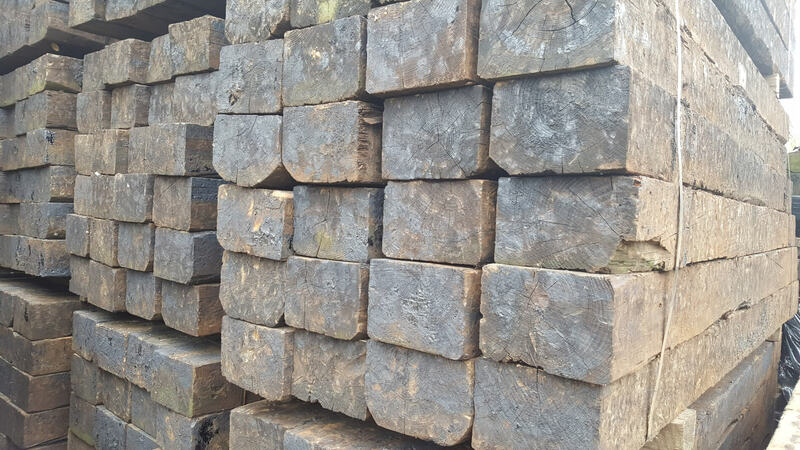 Suitable for gate posts or jobs where a larger sections are required.